Performance Series® sweet corn is the only fresh market sweet corn with the unique weed control benefits of tolerance to in-crop applications of Roundup WeatherMAX®, Roundup PowerMAX®*** and Roundup PowerMAX® II*** agricultural herbicides. 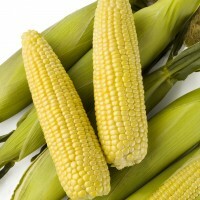 What is Performance Series Sweet Corn? Performance Series® is the brand name given to Seminis® products that have been developed to deliver the highest level of innovation, value, and reliability available in the vegetable seed market. These seed products were created for growers seeking breeding innovations and technologies that can help maximize their growing potential. The brand’s ground-breaking attributes can help growers get the most potential out of every seed and achieve improved levels of performance. 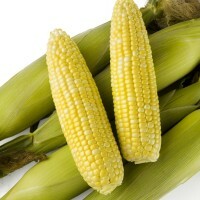 Seminis® Performance Series® sweet corn, developed through biotechnology was the first product in our Performance Series® portfolio of premium products and is currently available in the United States and Canada for planting for commercial fresh market use. 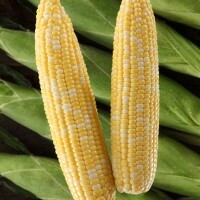 These high-quality sweet corn seeds offer competitive advantages to growers by providing them with protection from select above*- and below**- ground insect pests, as well tolerance to in-crop applications of Roundup WeatherMAX®, Roundup PowerMAX®*** and Roundup PowerMAX® II*** agricultural herbicides. Taken together, these features enhance the quality, growth and yield potential of the product, and reduce your potential need for insecticides when used with an effective insect management program. 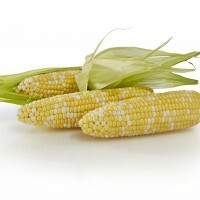 Although Performance Series® sweet corn was introduced under the Seminis® vegetable seed brand in 2011, sweet corn growers have been growing competitor’s biotechnology-derived sweet corn containing the beneficial and naturally occurring Bt protein (Bacillus thuringiensis) for nearly 19 years . 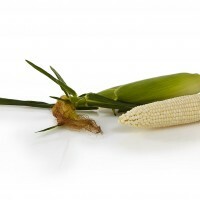 This genetically enhanced sweet corn provides protection against damage by common pests such as European corn borers, corn earworms, fall armyworms and corn rootworms. In fact, Performance Series sweet corn was the first sweet corn product to offer protection against corn rootworm larvae. This extensive range of above*- and below**-ground insect pest protection results in a better plant root system that strengthens the yield potential of marketable ears per acre. In addition, Performance Series sweet corn contains Roundup Ready® technology, the cornerstone of weed management programs on many farms. The Roundup Ready® technology that is built into Performance Series® sweet corn seed controls a wide spectrum of weeds with excellent crop safety to in-crop applications of labeled Roundup WeatherMAX®, Roundup PowerMAX®*** and Roundup PowerMAX® II*** agricultural herbicides when applied according to label directions and encourages the use of conservation tillage. With advanced plant protection and improved weed control options, you can expect outstanding yield potential as you harvest full, quality ears. 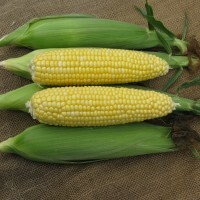 Taste and flavor are on par with the conventional sweet corn hybrids, such as Obsession and Passion****. Through biotechnology, Seminis® Performance Series® sweet corn enables growers to reduce the potential need for insecticide applications when used with an effective insect management program and, with its related fuel use, thereby reducing overall input costs depending on your environment. 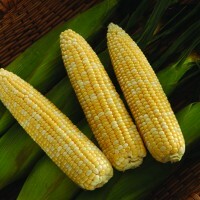 Because this sweet corn contains the naturally occurring Bt protein –which is often used as an insecticide by organic farmers – the insect pest protection offered by Performance Series® sweet corn allows growers to reduce the potential need for insecticides when used with an effective insect management program. The inclusion of Roundup Ready® technology in Performance Series® sweet corn also provides environmental and economic benefits through conservation tillage. Growers across the country reported high satisfaction with the Seminis® Performance Series® sweet corn system thanks to its marketable yield potential compared to conventional sweet corn and above*- and below**-ground insect pest and weed control. Sign-up to receive the latest news and information about our Performance Series® line of sweet corn products. *Targeted above-ground insect pests include Fall Armyworm, Corn Earworm (ear feeding), European Corn Borer, Southwestern Corn Borer, Sugarcane Borer, Common Stalk Borer and Southern Cornstalk Borer. **Targeted below-ground insect pests include Western Corn Rootworm Larvae, Northern Corn Rootworm Larvae and Mexican Corn Rootworm Larvae. ***Roundup PowerMAX® and Roundup PowerMAX® II are approved for use only in the United States. ****Sensory data obtained from an expert descriptive sensory panel at the National Food Laboratory, Livermore, CA, June – September 2010.